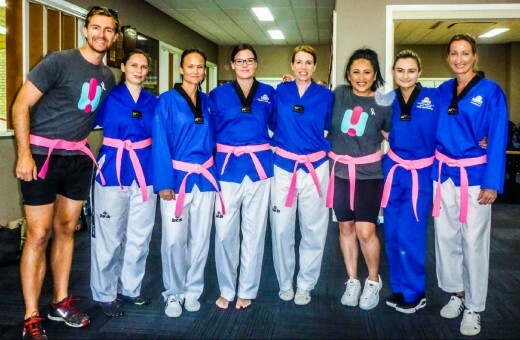 I am so excited for the future of my Women’s Only Taekwondo Class. 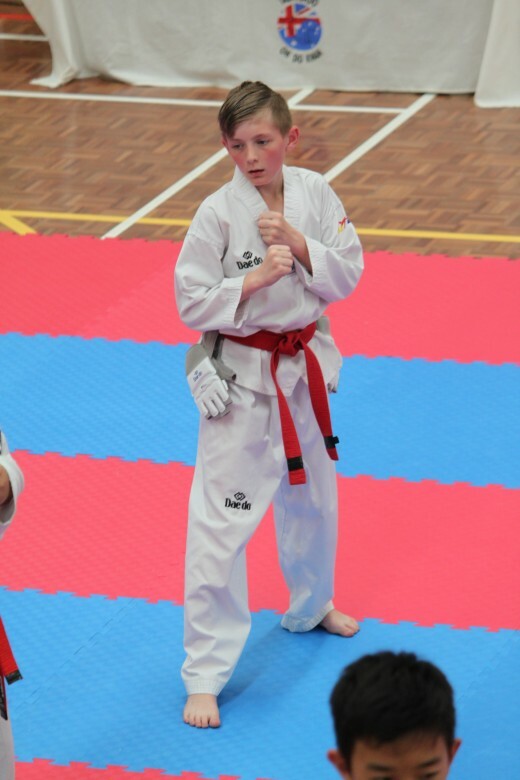 To think we started almost 6 months ago on 6th of June, and we are now coming up to our 2nd grading at the end of this term, the time has just flown by, but I’m loving every minute of it. 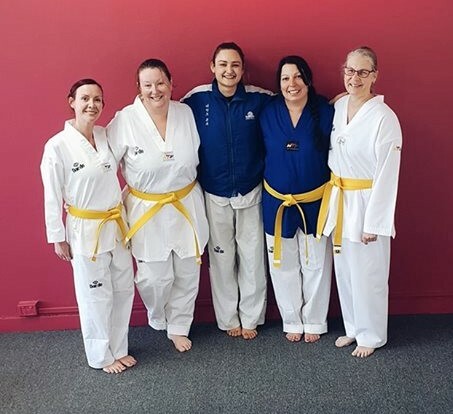 I have 4 awesome, motivated ladies who have joined and started their martial arts journey and I couldn’t be more chuffed that they chose me to be their instructor. And these ladies’ skills, continue to improve and improve. It’s pretty rewarding to watch. 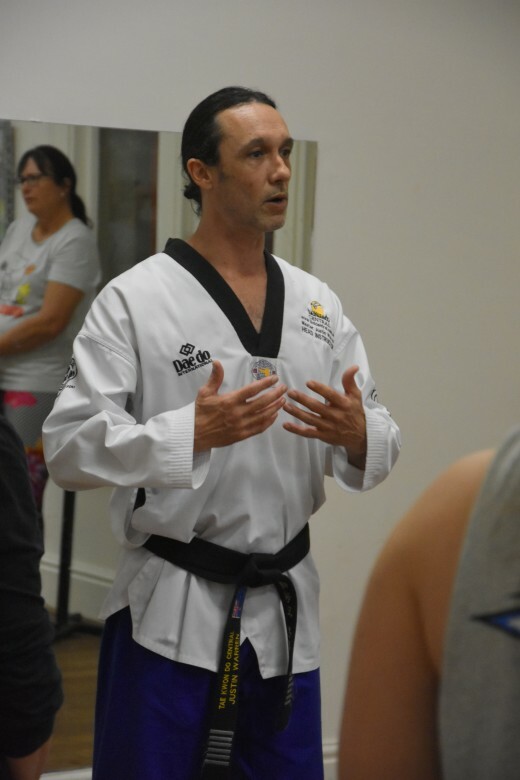 Starting my own class, that was my own idea and responsibility has been a huge step for me as a martial artist, an instructor and as a role model in the community. 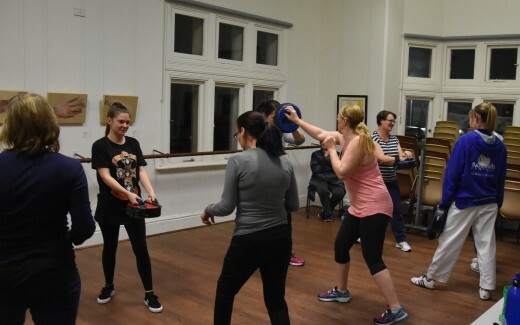 Passing on my knowledge and years of training to likeminded women has been so much fun and has been a lot different to my usual classes I instruct. 3 out of 4 of these Women have been apart of our club for years, sitting on the side supporting their children week after week. 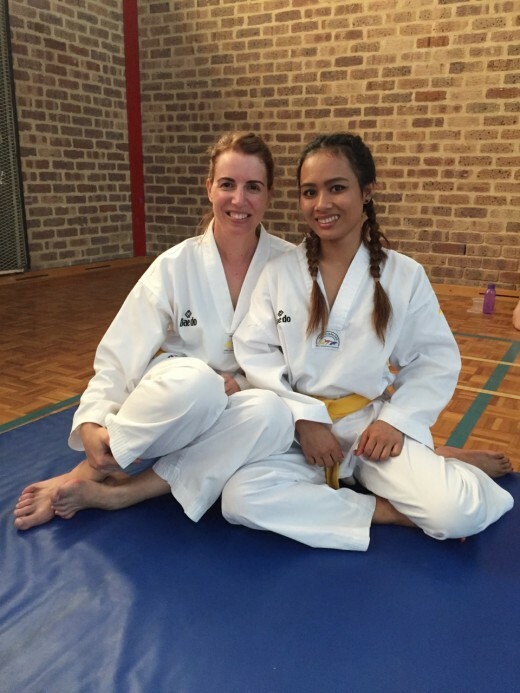 Deanna and Sarah’s daughters; Tahlia & Trinity are both black belts and Lynn’s Christopher and Shonna both on their Probationary Black belts, it was a huge leap for them to all jump off the side line and finally put their feet on the training floor. 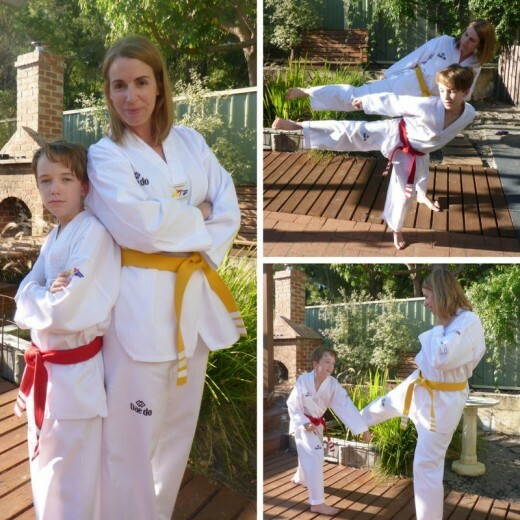 If they can, maybe one of you Taekwondo Mums can as well? For Chelsea, the leap might have been even greater. 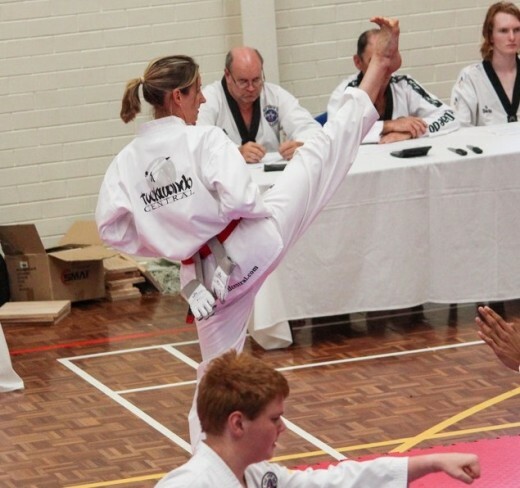 She had no children in our club, so she didn’t have that way to connect, she hadn’t watched it for years, so she didn’t have much idea what Taekwondo was about, it was something brand spanking new for her. She was my first and only student on day one, and I’m so glad we haven’t lost Chels. There’s always going to be reasons why you shouldn’t or can’t give it a go, but there’s always going to be MORE reasons why you SHOULD do it! 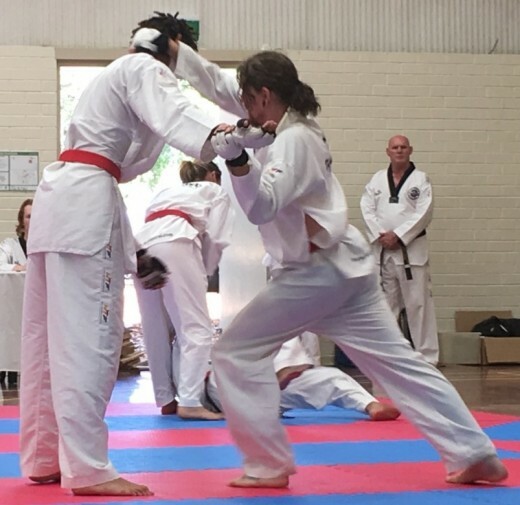 “After 6 years of sitting on the sidelines watching my daughter train with TKD Central and pass 2 Black Belt gradings, I had developed a massive respect for the sport. I began to have a secret burning desire to take it up myself but kept passing it off. One day I heard Ajana Plunkett was starting Ladies Only day classes. I knew this was my calling. Leading up to the first class I was so nervous, worried that I was biting off my than I can chew. But Ajana knows exactly how to ease the new mature student into her classes and is just amazing at it. 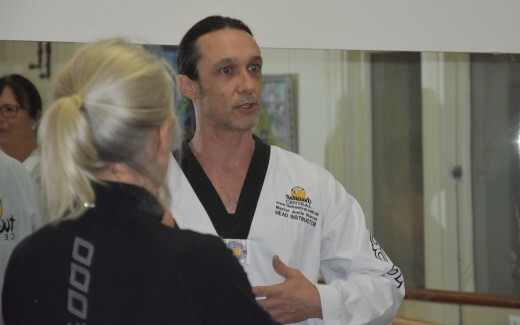 Fast forward 5 months I am now a yellow belt and Tkd has become a big part of my life. I am fitter, stronger and happier. 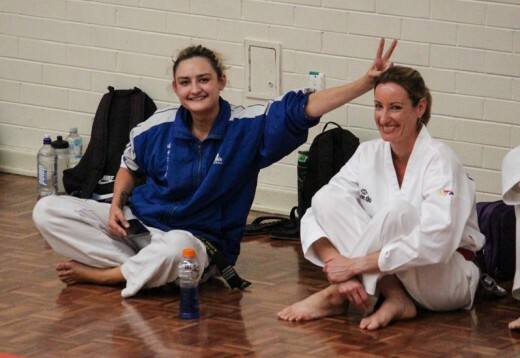 I also love the special friendships I have formed with the Ladies I train with. We are very welcoming to new class members, come join us! You’ll love it! 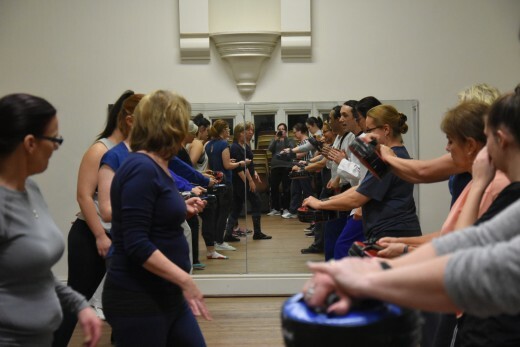 “When Head Instructor Ajana announced that she was going to start a lady only class…I really wanted to support her new endeavour. 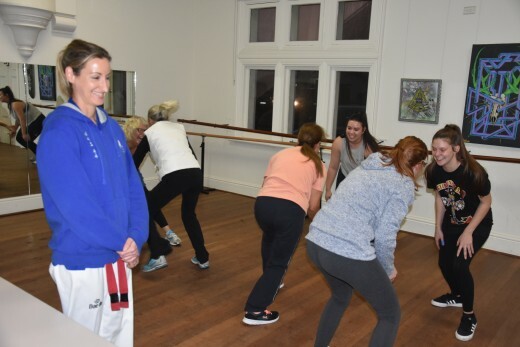 “Being a Mum I’ve found we don’t often take the time to do things for ourselves so joining the Women’s Only group was a big leap for me. Now I can’t imagine doing anything else! WE WANT TO MEET MORE LADIES! We are a fun, understanding and friendly group (not to toot our own horns). You wouldn’t meet a nicer bunch! Come give it a go, the benefits are so rewarding. It doesn’t take long to watch yourself improving; growing stronger and more confident. 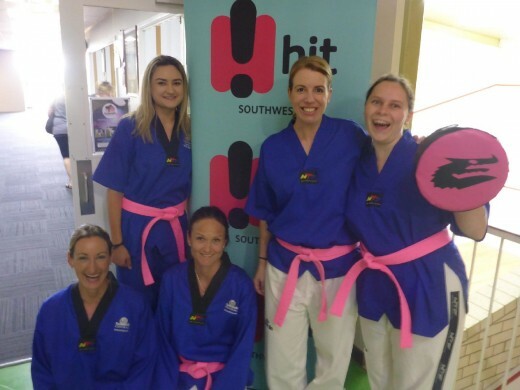 You may find yourself setting goals like my ladies that include getting to their black belt? 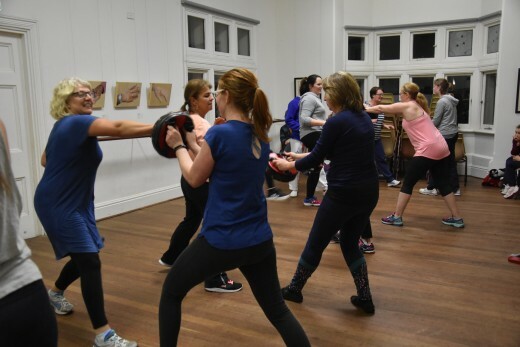 Or maybe you want to take time out for yourself to exercise and socialise? 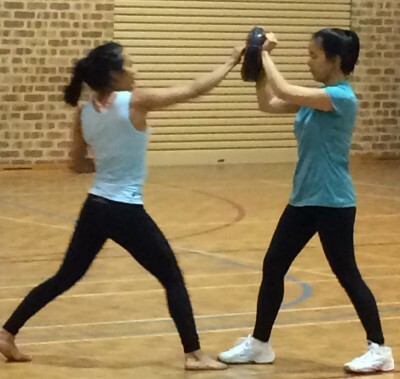 Whatever your reason, my woman’s Taekwondo class might just be the thing for you. and has been involved in the art for 15 years. 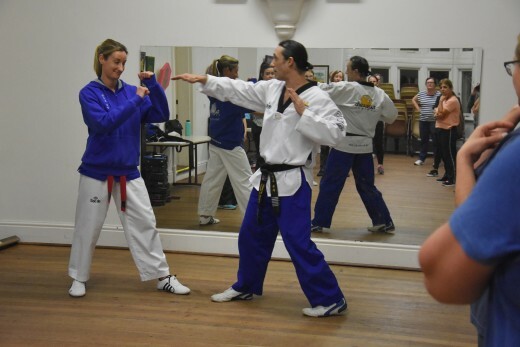 Instructor of Women’s Only Taekwondo Classes. It’s November 4th, I’m sitting passenger side of my car heading to Dunsborough for a family catch up. The last 24 hours has been an absolute blur. 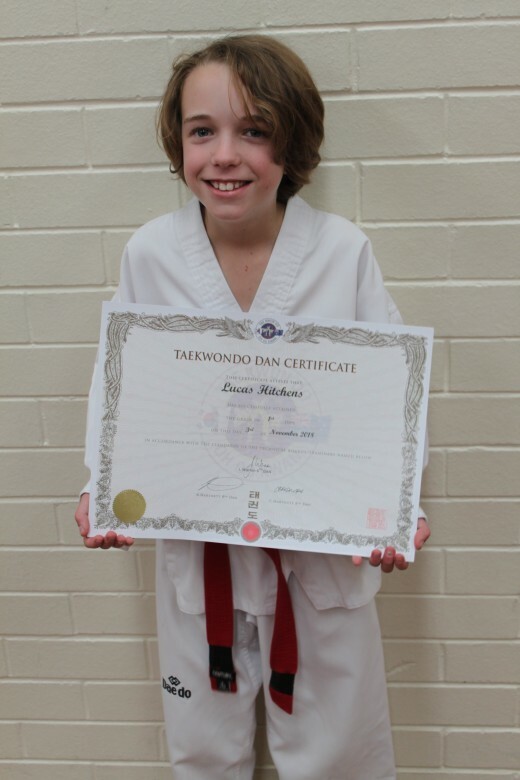 The events of November 3rd’s Black Belt Dan Grading still haven’t fully sunk in. Everything feels so surreal. I have achieved something most people never will. 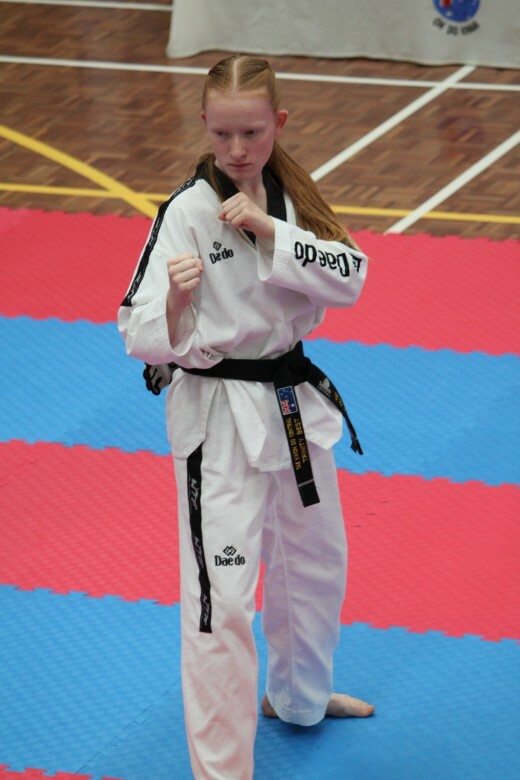 I have obtained my Black Belt along with 5 others from my Taekwondo Central family. 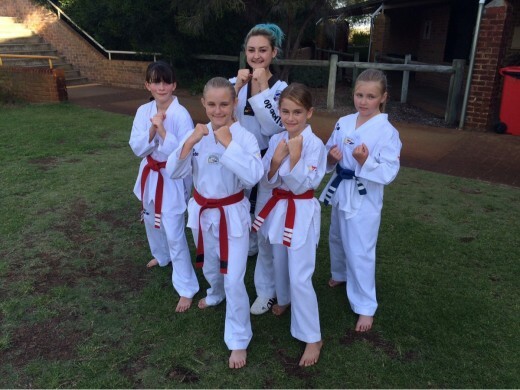 Together we all further cemented our footings into our own Taekwondo journeys. Four of us obtaining our First Dan Black Belt and two of us reaching Second Dan. I could not be more proud of the amazing effort each of us has put into preparing for yesterday’s grading. Blood, sweat, tears, injuries, sickness. We have all experienced a wide range of emotions pushing ourselves above and beyond our limits, and it payed off for every one of us. 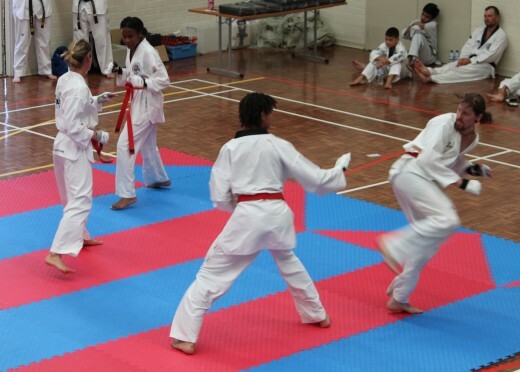 Watching Lucas and Jy nailing their patterns, Kian with his lightning fast moves through his sparring, Trinity flawlessly and effortlessly breaking each of her boards with such fluid motion. 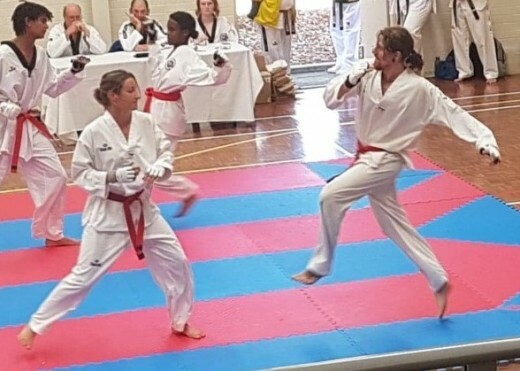 Kelly’s beautiful stances with such precise technique also managing to take out a best in grading award. 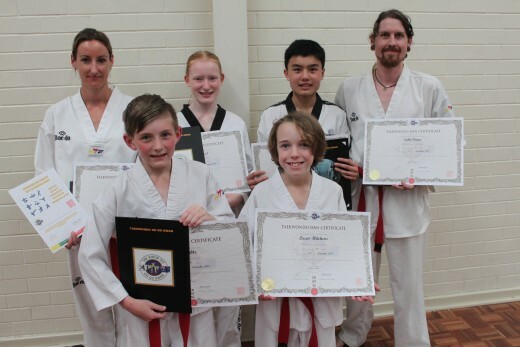 I am beyond proud of each of these people’s efforts, I am so proud to have been part of their grading. So how did I get here? What led me to this point? A big part of my journey, as many who know me, is my daughter Remy’s influence. 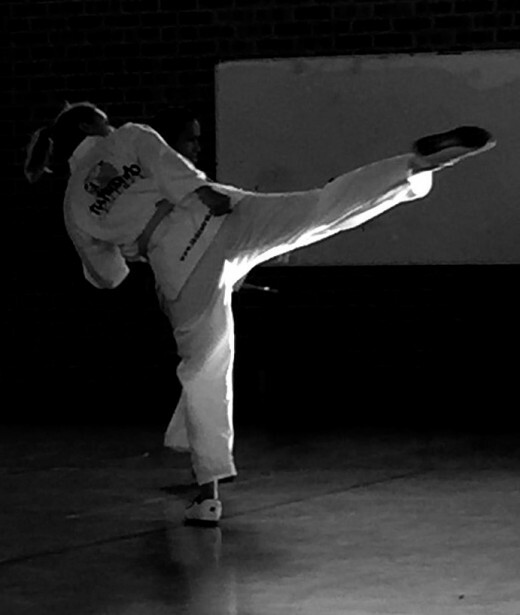 Without enrolling her into Taekwondo Central, I may never have been standing where I was yesterday. I have never been a confident person. In the past I may have even seemed quite the nervous type. I find it difficult to start a conversation with someone I don’t know. I have no problems holding a conversation but I’ve always felt as if I’m interrupting something, or that no-one’s really interested in hearing what I have to say. I used to get stuck in my own head a lot, I used to listen to my cautious thoughts too much, and I never jumped at opportunities that maybe I should have. Over many years, I slowly worked out that this was not the way to live. I slowly corrected my thought patterns, I managed to move those cautious thoughts aside and allowed myself to breathe, to realise how draining all these excess thoughts were. 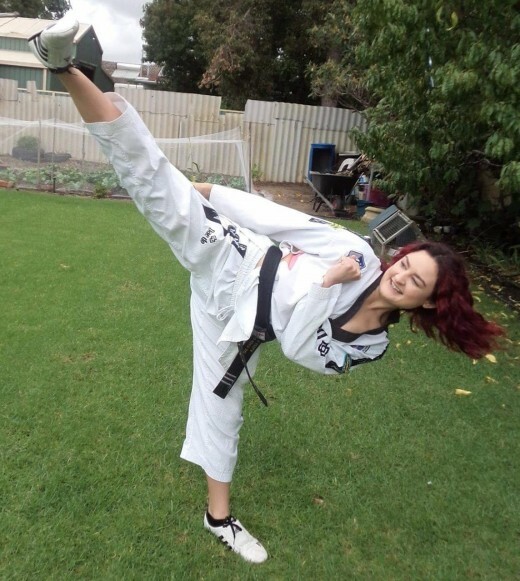 Taekwondo has been a big part of defeating my insecurities, building courage, building relationships, building strength, honour and determination. 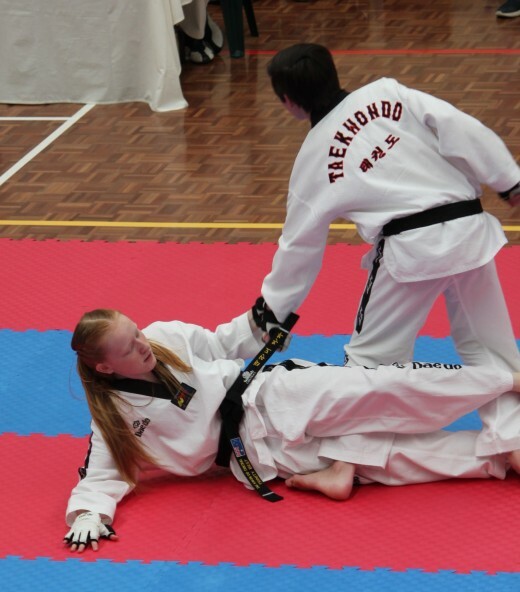 Taekwondo has done amazing things for me and I will always look back and be so proud of everything I have achieved within Taekwondo and my life as a whole since. 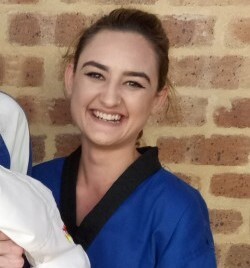 I started training back in September 2016 and I couldn’t be more proud of myself for hitting my second milestone in Taekwondo on November 3rd, 2018: Achieving my First Dan Black Belt. The first milestone I set for myself was to be able to straighten my leg above my head in warm-up stretches. I achieved that roughly one year into my journey. 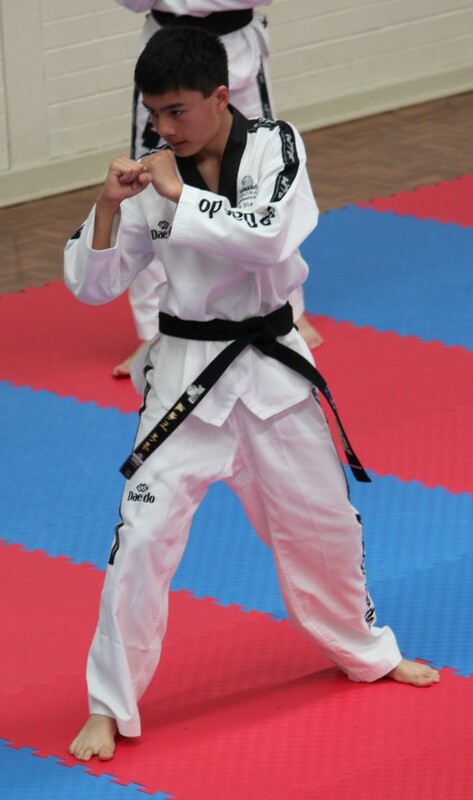 My next milestone: 2nd Dan Black Belt. There have also been several unexpected milestones that have popped up unknowingly during my time training. 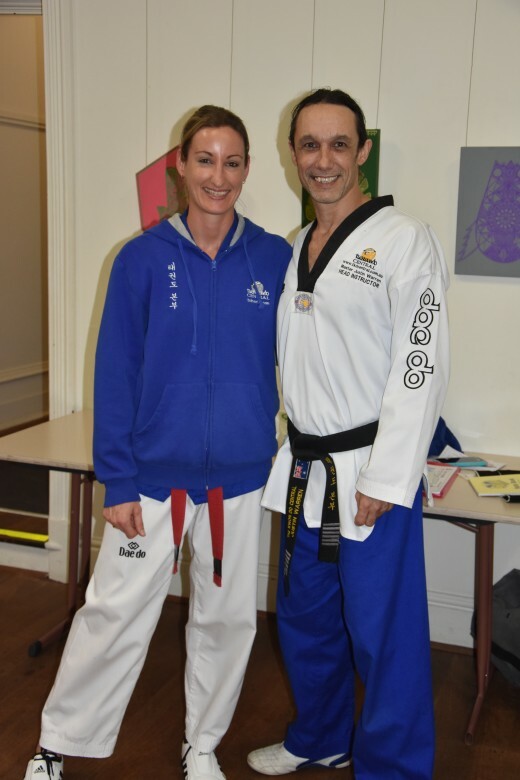 I joined the leadership team and very quickly made my way to Assistant Instructor at Taekwondo Central. This was something I never saw myself doing yet something that I absolutely love. 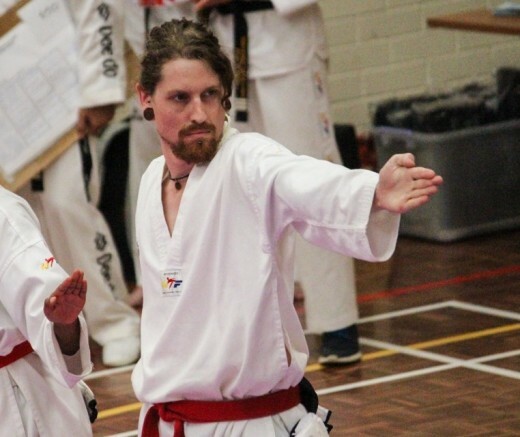 Becoming a full-time instructor would be amazing, it’s definitely on my list of to do’s. However let’s back up a bit. 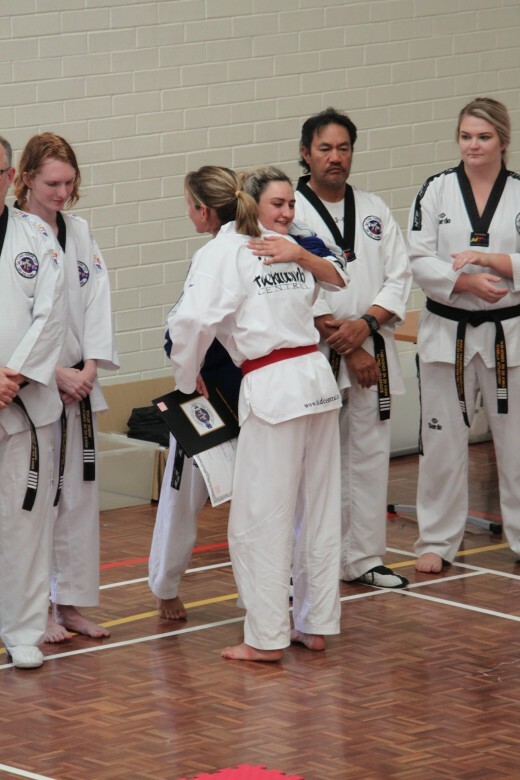 Earlier I mentioned that I only started training in September 2016 and managed to obtain my Black Belt on November 3rd, 2018. How in just over 2 years have I got to this level when it generally takes 4 years? Based on this you might be thinking getting a Black Belt is a walk in the park. Well I’ve got news for you, it’s not! There is nothing easy about obtaining such a feat. It requires commitment, strength, focus, resilience, stamina it requires the drive to never give up. 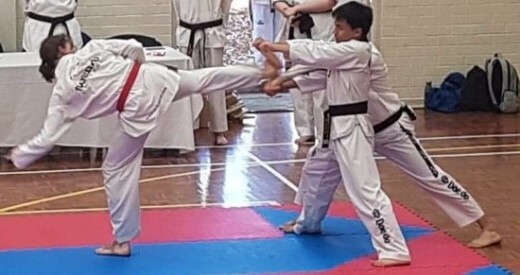 You will at some stage be in pain, it may be new muscles forming that have never been used, you may suffer from such pains as shin splints which can be extremely painful for some, it may just be a simple accidental collision during sparring, over stretching, pushing yourself too far too quickly. At some stage you will hurt, and that’s all part of the journey. I had the “pleasure” of a major shin collision a week and a half before grading. I didn’t know it at the time but when I got home I had a lump the size of my fist on my leg. I was barely able to walk and had to keep my leg elevated and iced up. Only the day of my grading was I finally able to see my ankle because the majority of swelling and bruising had gone down. Was I concerned about my grading due to this injury? I hadn’t done any sparring since the collision and I had at least 8 rounds of sparring coming up as part of my grading. So the answer to my question was yes! I was concerned, I knew that I wasn’t able to perform to a level I know I can. But it wasn’t going to stop me, it didn’t stop me. I pushed past it. My leg was hit a few times, and believe me, it hurt! But I wasn’t going to let this stop me from coming and achieving my goal for the day and it didn’t. So minus all of the above, all of the extra training (you would see me within our club 6 days a week either training or helping others train) what else was required to help me go for black? It’s simple really. I now realise it’s the key to achieving anything you set your mind to. Believe in yourself, and trust in the people who are helping you through that journey. 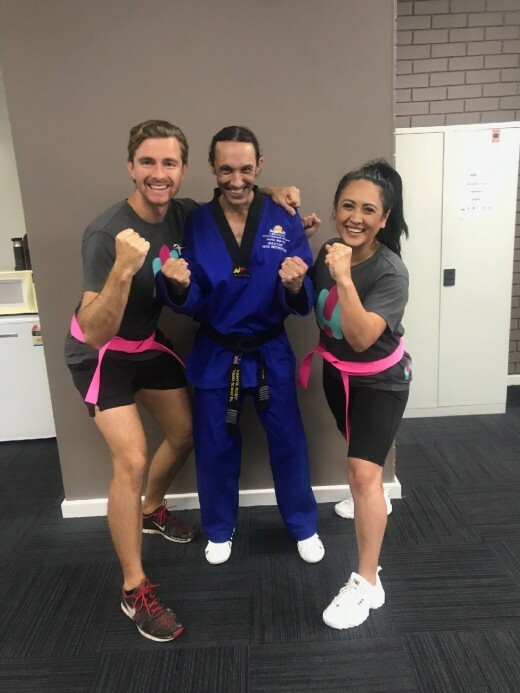 Master Justin, Instructors Ajana and John, none of them would tell you to go for this amazing achievement if they didn’t believe you were ready. Listen to those who are helping you out, they want nothing more than to help you succeed and succeed we did. My journey however doesn’t end here. 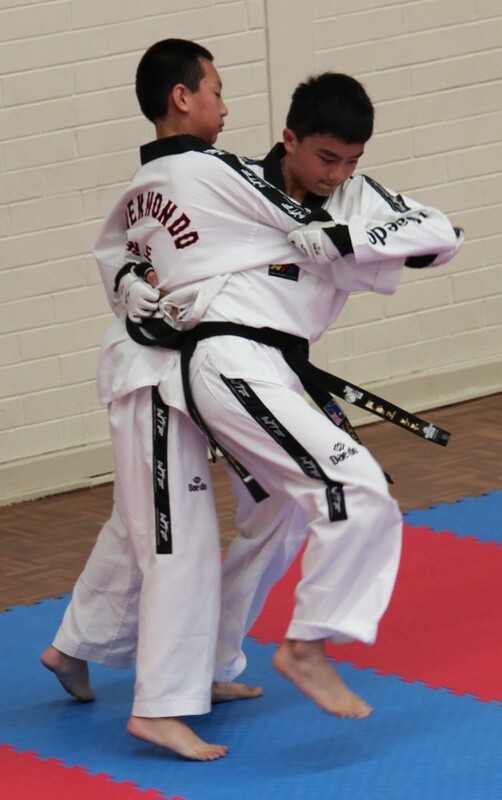 I will continue to teach and train and better myself and my knowledge about this amazing sport, Taekwondo. 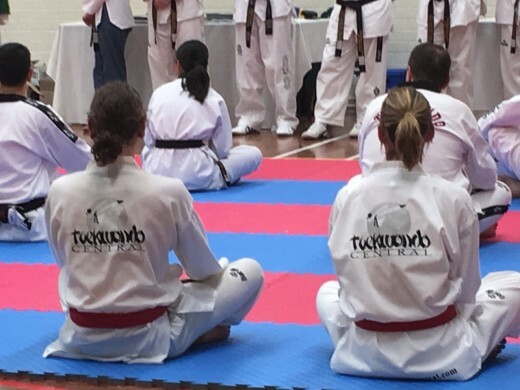 With an earlier Taekwondo Ohdokwan Black Belt grading set for November 3rd due to the Grandmasters busy schedule, Team Central being cut a month of preparation had a sprint to the end. 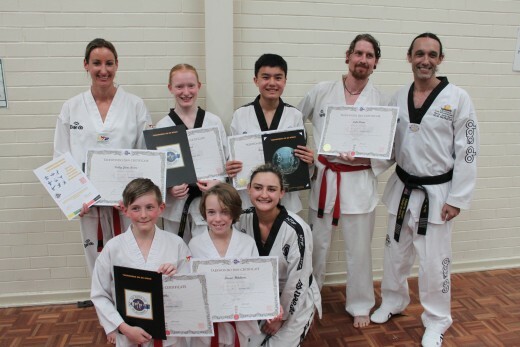 With 6 members locking in for a final training stint we are very happy to announce that all passed their new black belt level and one earning “Best Grading” Award. To top off an already great day. 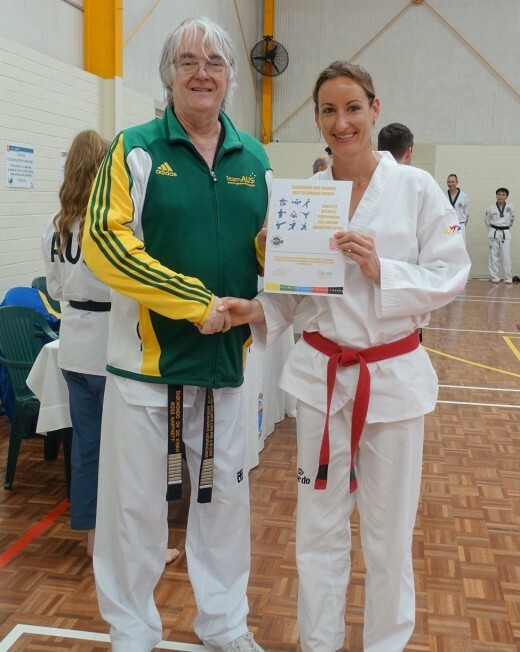 Kelly Rowe won “Best Grading” Award of the approx. 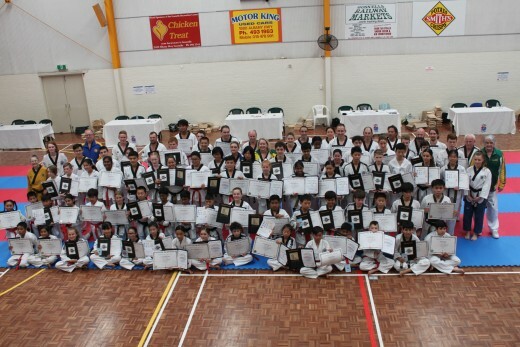 80 members at the grading who come from all over the state. 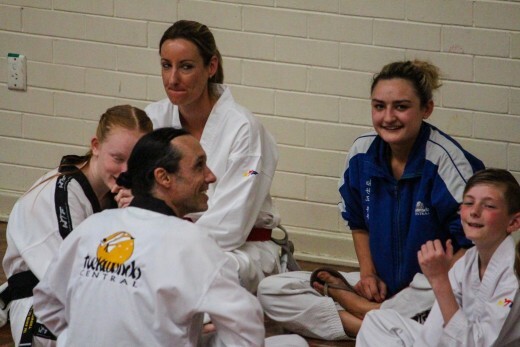 Thank you also to the Taekwondo Central Support Crew who came up to celebrate the event with their club members. It was great to see so many familiar faces. 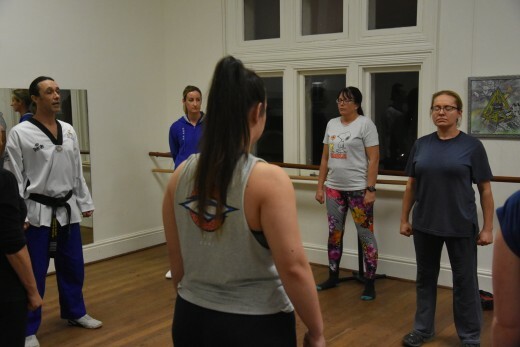 Counterstrike Women Self Defence Course has had a strong interest with women personal protection on the radar in the last months. 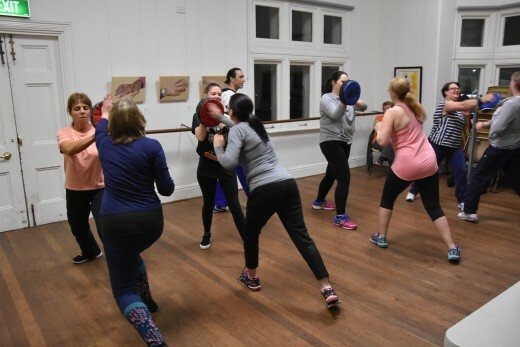 Thank you to all the ladies who have got involved this term, The improvement in just weeks has been very noticeable already. We look forward to seeing the empowered version of yourself at the end of the course. 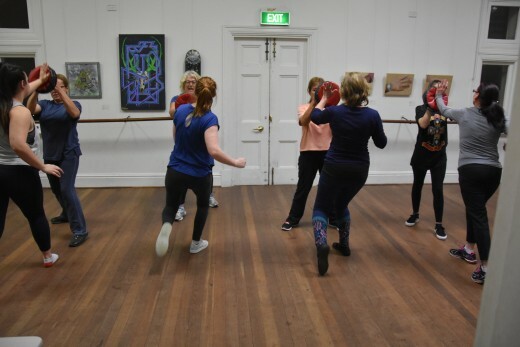 Counterstrike Women Self Defence Course celebrates its 20th year in 2018 with the first course being held at the former Railway Institute Building in 1998 which is just across the road from the current course at the Bunbury Art Gallery. 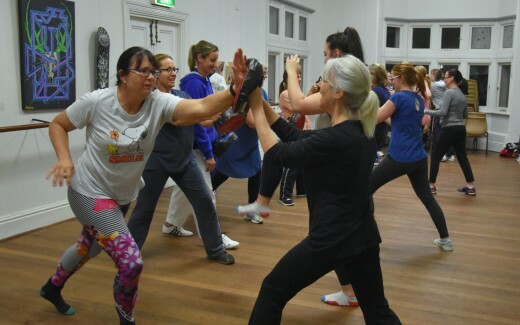 Its also great to see a variety of ages doing this class, its been a great atmosphere and the focus has been intense, these ladies are serious!! 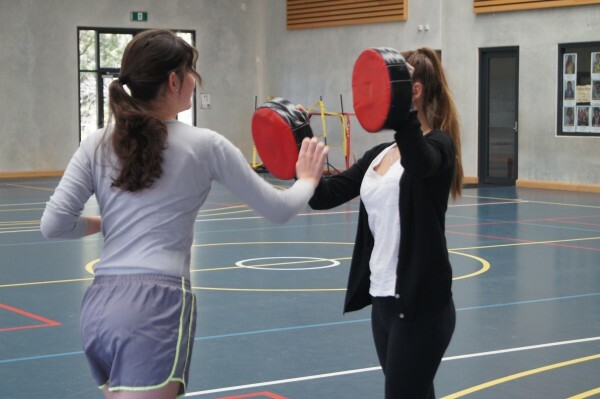 We are looking at the possibility of running a day course in Term 4 in Bunbury. A big thank you to Deanna Gowland for the photos. 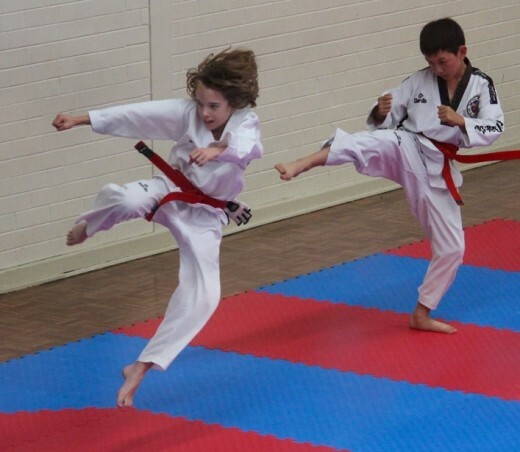 Taekwondo being a Korean kicking form of martial arts doesn’t usually have a big basis around self-defence. 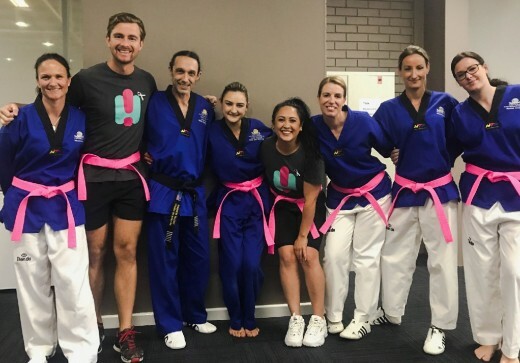 But what I loved and continue to love about my club Taekwondo Central, is that Master Justin has always based the club around children’s safety and self-defence. 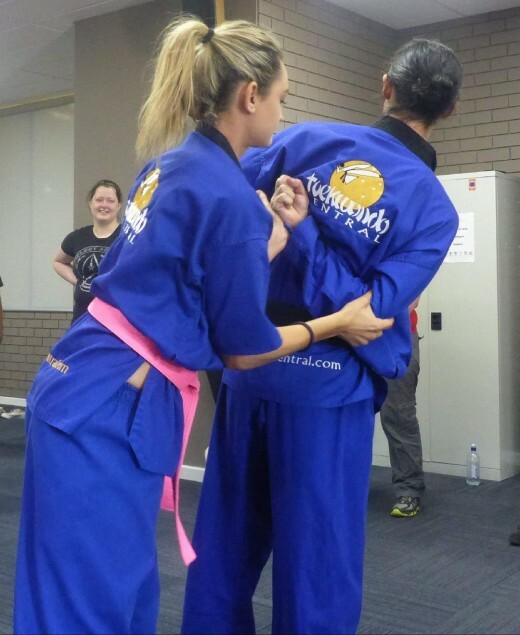 So from a very young age I started gaining my skills and experience in self-defence. I could never over-emphasize how important it is that young people, or should I say ALL people feel safe in their homes and when they are out and about. When you feel safe you feel more comfortable to be yourself. 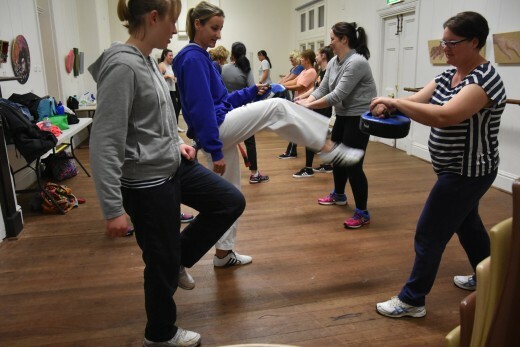 The importance of women learning self defence is more present than ever and what better time than now to talk about it? 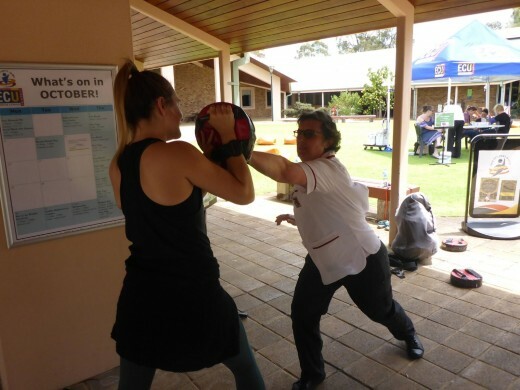 One in three Australian women have experienced physical violence, since the age of 15. 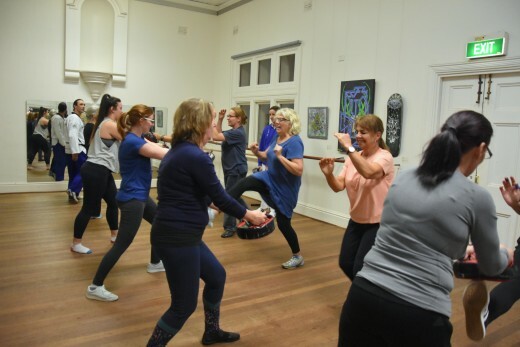 Every year in Australia, over 300,000 women experience violence – often sexual violence – from someone other than a partner or someone they know. Those are some distressing statistics! 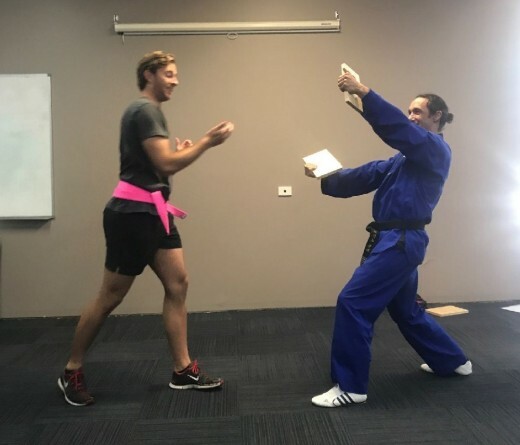 In the alarming chance that you find yourself confronted with someone who might cause you harm, knowing how to defend yourself will give you the potential upper-hand and may buy you enough time to get away to safety. 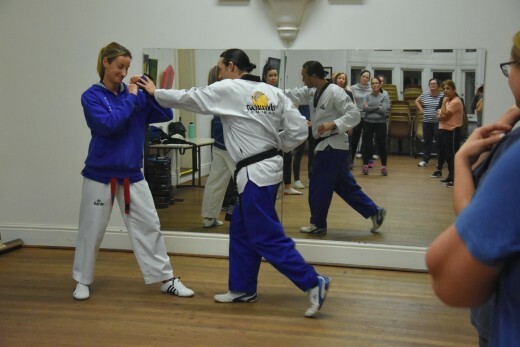 I have this sense of empowerment from my training and the confidence in knowing I can defend myself. 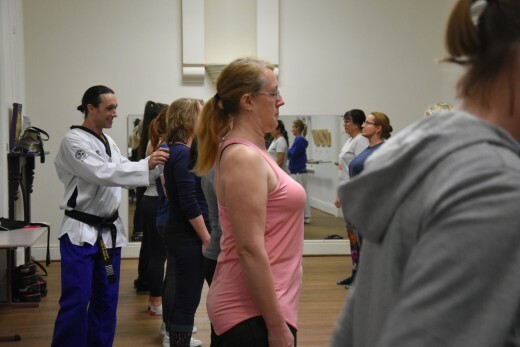 An important thing that self-defence has taught me is acknowledging safety, that the level of safety we feel is measurable. If we feel uncomfortable we can speak out. If someone gets in our personal space we can move away or place a physical barrier between us. 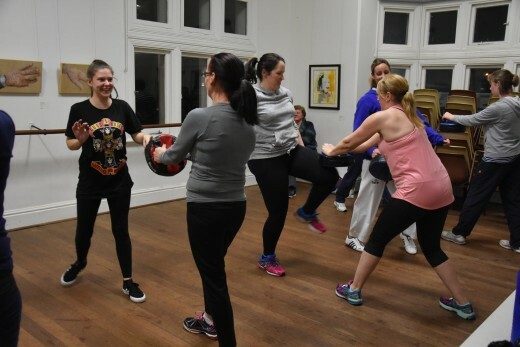 With regular training, you start to understand what your body is capable of, how your body responds to threats and stress, and what others are capable of. Knowing what is a safe distance, your boundaries and acknowledging the feeling of being unsafe bodes well for your self-protection. Knowing these things have helped me decrease the feeling of being surprised or freezing up in situations. 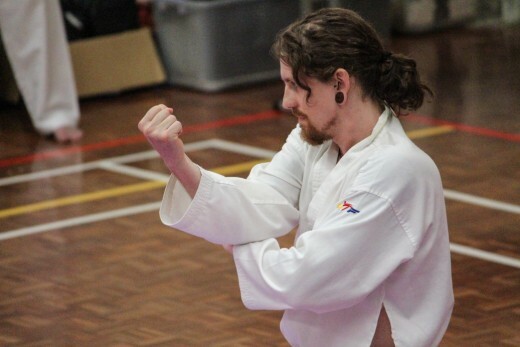 Martial arts gave me confidence in my mental abilities. My training prepared me to face the unexpected. It taught me that every fail or every loss was an opportunity to learn and resilience was key in my development. The capacity to recover quickly from difficulties, produces mental toughness. I learned that every problem I encountered had a solution. Of course, the self-assurance I have in my physical abilities I owe to my training. 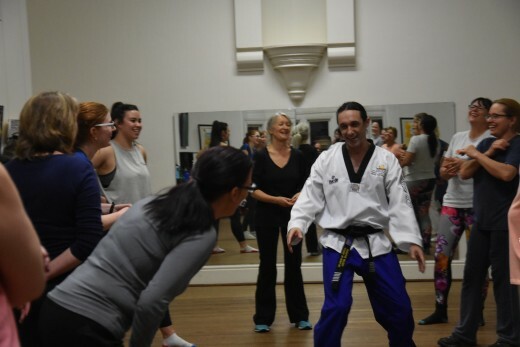 I wouldn’t feel confident that I could handle myself in a harmful situation let alone know what to do, but thanks to my training I have an awareness in myself that I know I am strong and I know that I could do serious damage if I had to use my skills in self-defence. As a young woman, this is what empowers me the most! 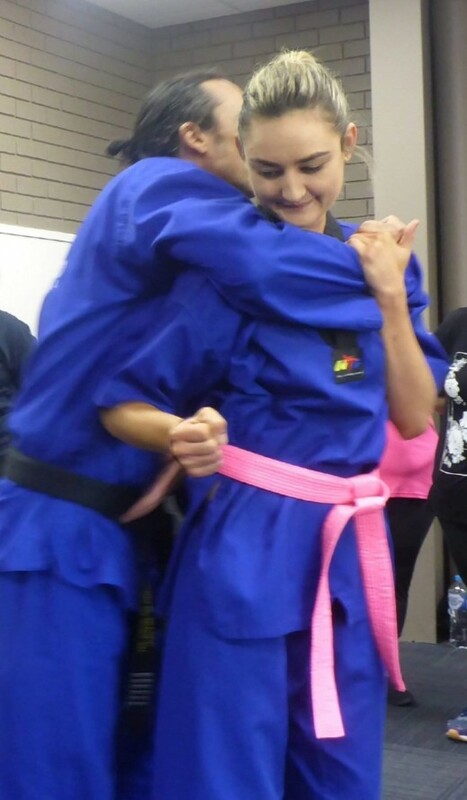 I mentioned the word empowerment a couple times and that martial arts has given me a feeling of empowerment. So, what is empowerment? Empowerment; the process of becoming stronger and more confident, especially in controlling one’s life and claiming one’s rights. 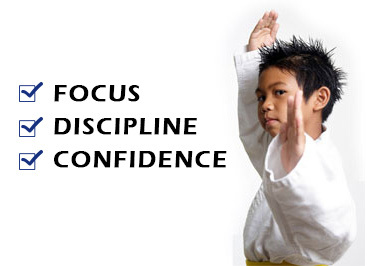 I think that definition alone explains exactly why martial arts is empowering. 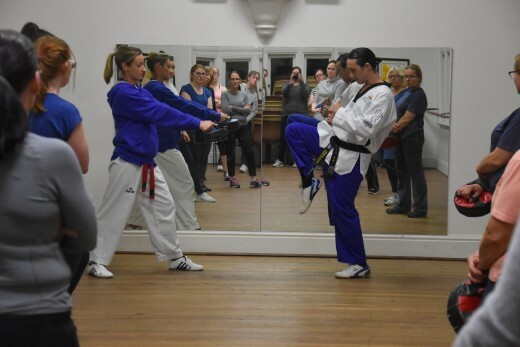 Martial arts is a journey of discovery; of new skills, strengths, learning what your body is capable of. Being proud of your accomplishments, your body and your willpower. 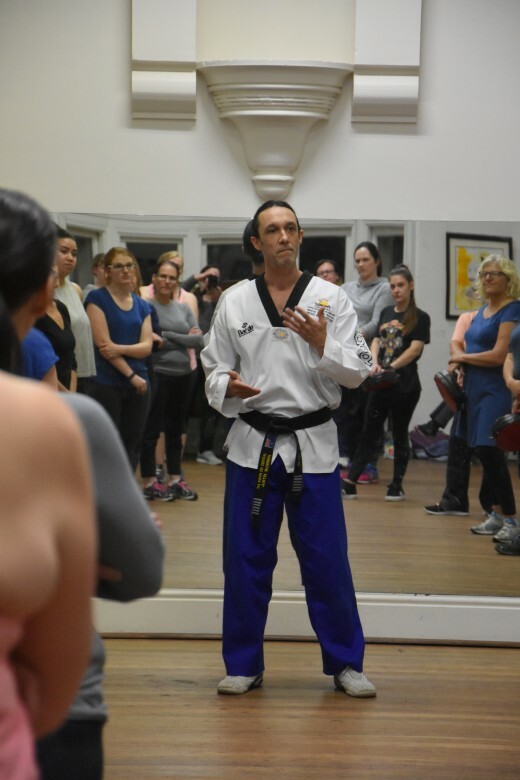 I’m so empowered by martial arts and what it can do for you that I have made it my job for quite some time now to teach others and my guess is, I’ll be doing that forever. 1. 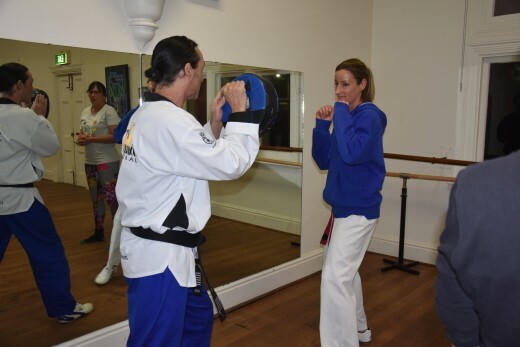 LOOK STRONG – The best way to stay safe is to avoid a confrontation altogether. Stand tall, walk confidently and don’t look like a target. By doing this you make yourself look and feel stronger than you may be. It may make attackers think twice before trying something. Nose– coming from someone who has broken this part of their body more times than she wants to remember, this is a very weak and vulnerable spot. A simple strike with your palm can do a lot of damage. Throat– If you’ve ever had anything hit your Adam’s apple, you know why this one is included in this list. Simply put, it (literally) knocks the wind right out of you. If you have never been hit there before it’s a very frightful experience. Groin– need I say anymore? A quick flick to that area or a knee will sure do the trick. 3. THE 6th SENSE – I don’t know if you ladies have ever felt it, but I sure have. It’s got me out of some close calls. When you’re in an environment, nothing bad may have happened yet but you just feel off, you get that butterfly in your belly, the weird feeling that you know something isn’t right and your heart starts to race. TRUST IT, it doesn’t matter whether you’re wrong, it just matters that you feel safe. Like that saying goes. Better safe than sorry. 4. KNOW THE WARNING SIGNS – Most attackers don’t begin with brutal force. They begin by coaxing a woman into a secluded area and forcing her to relinquish her control. Not only will your instincts help you avoid dangerous situations, but you can also determine someone’s intent by knowing what to look for. Some pre-incident indicators include: refusing to accept rejection, charm, giving too many details, giving unsolicited help and expecting favours in return and unwanted promises to name a few. Remember ‘no’ is a full sentence and you don’t have to explain your reasoning. 5. BEING SAFE AT NIGHT – There are several precautions that you can take to ensure your safety while walking at night.Be aware and try and avoid distractions like having your headphones in or having your head down texting. There is safety in numbers, so where you can walk each other to cars etc. When walking at night, always use popular routes used frequently by others. By using these, you decrease your chances of being alone while walking at night. Try not to be tempted take a shortcut through a dark alleyway or parking lot. Avoid suspicious areas and people and always try and stick to the most lit path where possible. “The capacity to recover quickly from difficulties, produces mental toughness. 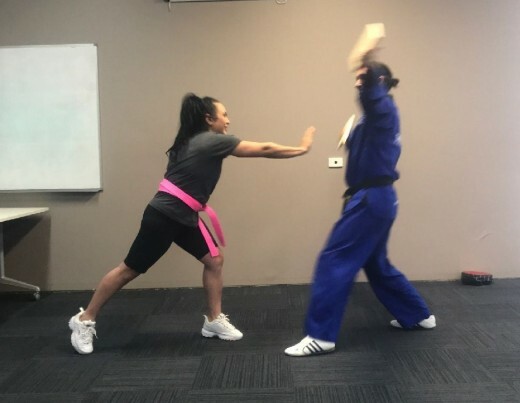 I really hope that by sharing my experience with you, that it may inspire you, young women, people of all ages to start doing something to better protect themselves. 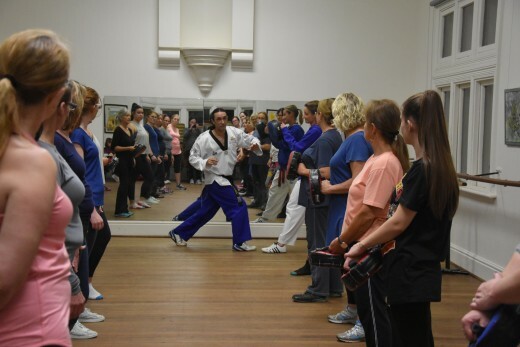 Start up a martial art, take a self-defence course or at least, take on board some of the tips you have just read. Because in the end all that matters to your loved ones is that you are safe. 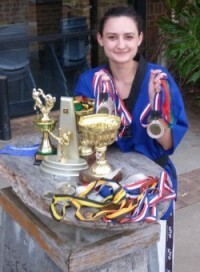 Holding a 4th Dan Black Belt in Taekwondo (WT) she has been practising Taekwondo for 15 years. 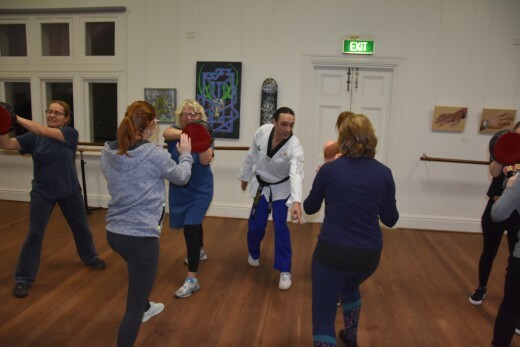 Term Start Dates Bunbury Martial Arts – From … [Read More..
Am I having a near mid-life crisis? Is this the equivalent of (*gulp!) buying a Harley or red sports car and dating a hot blonde? All of this and more (MUCH more!) 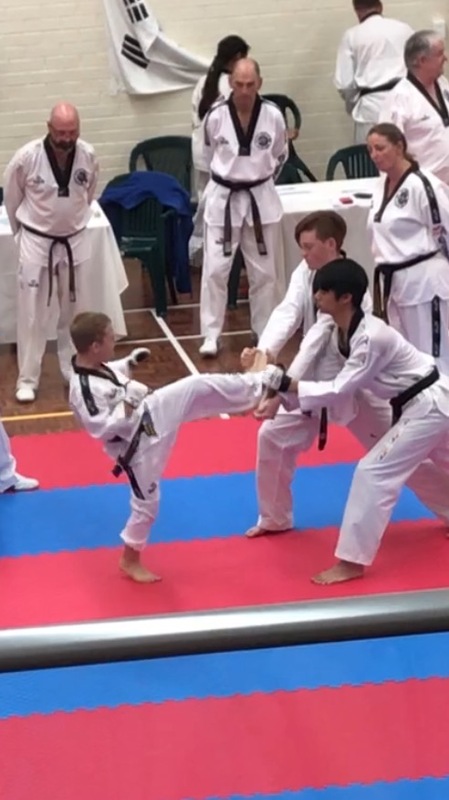 is what went on in my busy brain when I decided to take up martial arts in my 40s – specifically taekwondo and specifically right after I turned 4-Ohhhhhhhh. True. It was something I had considered. I like being active. I wouldn’t be the ONLY mum doing it I had thought to myself. It’s hard to say exactly what it was that finally pushed me off that little bench on the sidelines and onto the floor. Looking back it was possibly the result of a perfect storm. 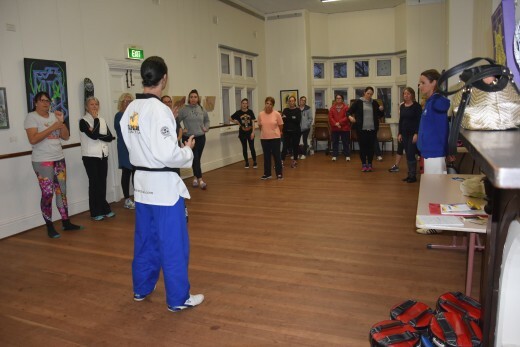 Well-timed women’s self defence course presented by TC’s 6th Dan Black Belt Master Justin Warren which I seriously enjoyed and opened the door to these odd yet warm feelings of empowerment. Committed encouragement from people I admire. And finally, (but most significantly) the loss of a loved one far too soon which inspired me to just LIVE! 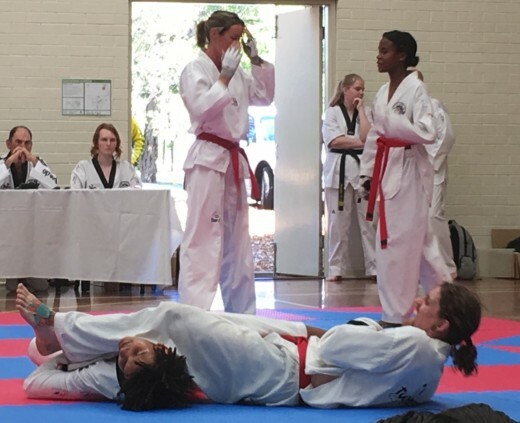 I was utterly terrified that I would make a complete goose of myself in front of Master Justin, the other students and (worst of all) the other parents I had previously been sitting with on the sidelines. Ridiculous when I think about it now but self doubt is a weird and persistent beast. 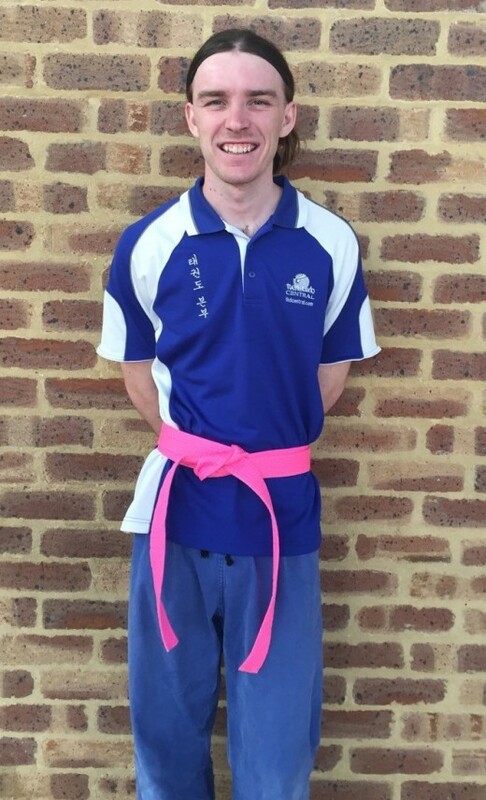 Master Justin has coached literally thousands of beginners all the way to Black Belt level so in hindsight, pretty sure he’s used to working with students who are just starting out – even uncoordinated over 40 ones! 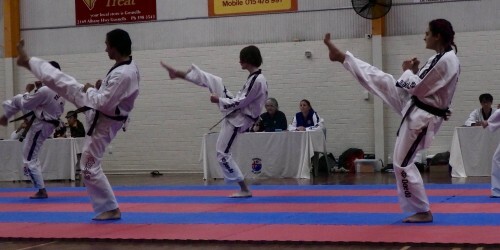 The other students are busy doing their own thing and could care less how wonky my early kicking attempts were. And finally, the other parents are busy watching their own kids (of course!) and had next to no interest in critiquing my efforts. Turns out I’m WAY more determined than I had ever suspected. That’s code for stubborn. Yep, I’m really, REALLY stubborn but it actually helps when you’re learning a new skill. Setting regular goals (like a belt level per term) that don’t come easily, that you HAVE to work towards, is so bloomin’ fulfilling. Don’t tell anyone but I really am so chuffed with myself. It is staggeringly joyous to be sharing a common interest with him like this. We set goals together, motivate and encourage each other and he gives me a hiding in sparring practice, bruised shins (It’s supposed to be non contact Lucas!) and all! 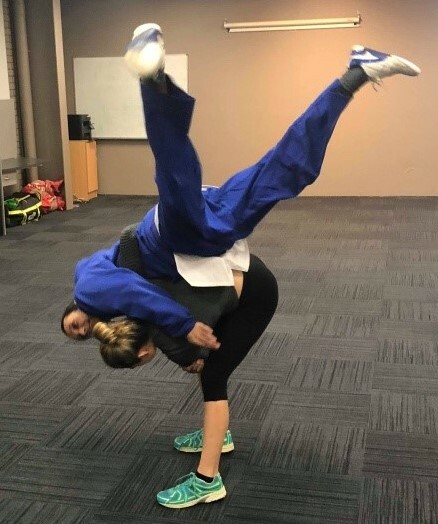 We love training together. Believe me when I say this kind of bond is not something you can achieve with even the most committed support from the sidelines. You actually have to get in there, bare feet and all, and do it WITH THEM. 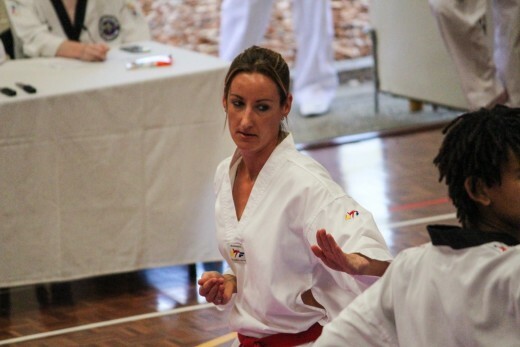 Don’t get me wrong, I probably HAVE had a few goose-like moments in my taekwondo journey so far. 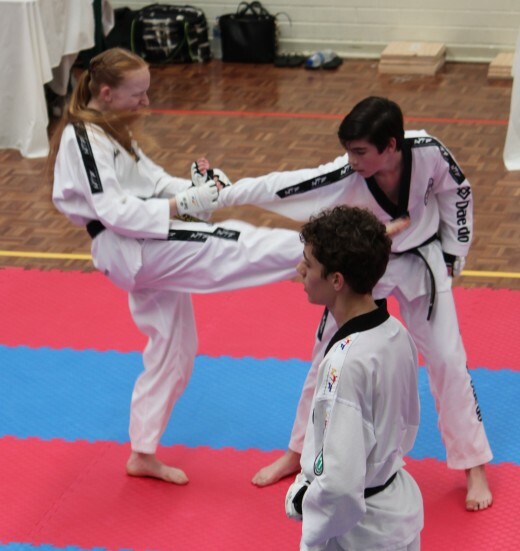 I suspect there’ll be quite a few more…I’m talking about you spin hook kick! But being a bit goosy matters little now when I consider everything Lucas and I have gained as a result. It’s been a million times worth it. Flexibility decreases naturally as we age but working to improve it (stretching exercises every day if you can but at least three times a week) comes with a whole raft of associated health and wellness benefits like improved bloodflow, less aches and pains and greater ability to complete everyday tasks without discomfort. You can Google up a bunch of ideas for increasing your flexibility. I’ve done two things. The stretches we do before the start of every class, I do at home too on non-training days. Also I found these dynamic stretches which seem to improve flexibility AND strength. Stand on one leg. 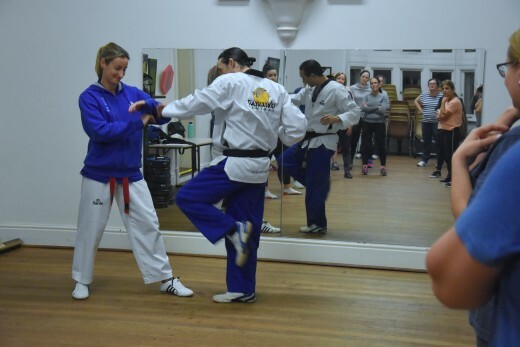 Lift the other leg to your imaginary opponent’s knee height and then put it down again but only very lightly touching your big toe on the ground. Repeat 12 times. Both legs. Now do a similar action but lift your leg out to the side. 12 times, both legs. And do the same again, but lifting your leg our behind you. 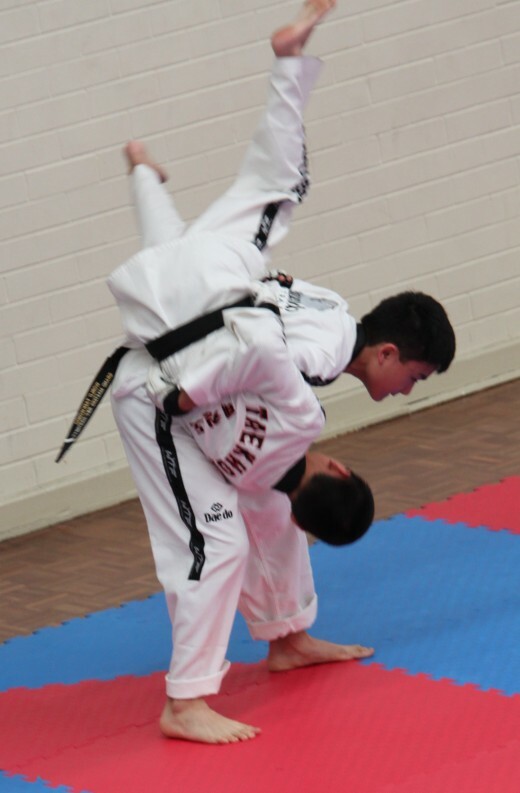 As you get better and stronger, work towards lifting your leg to stomach, chest and then head height. The tip is not to be swinging your leg to get height and momentum. You should be relying ONLY on leg strength. Also, you shouldn’t find it really exhausting. You can feel the muscles working but it’s not like you’re gasping for breath or anything. Training once or twice a week is not going to cut the mustard when you’re in your 40s. 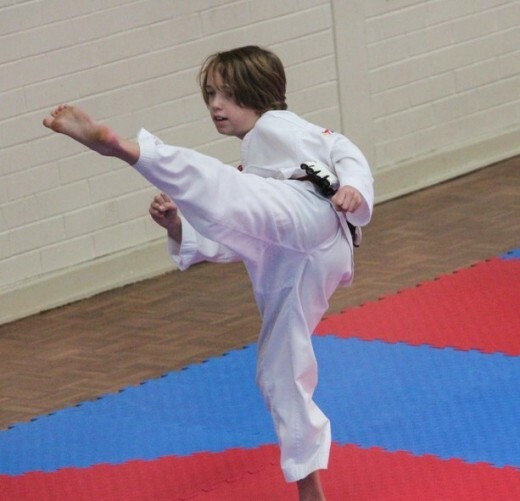 If you want to see real improvement in those kicks, you’re going to need to put in some time at home as well to build up that muscle memory in time for your next grading. It will hurt. Deal with it Princess. You don’t always hurt like you do in those first few months. It’s one aspect of ALL of this that just makes each little achievement that bit sweeter. Nobody is going to serve up a new belt to you on a silver platter. Ya gotta work for it baby! For now though, I’m just happy taking baby steps in that general direction. Every little improvement I can see and feel, every stripe on my belt. I take a moment to acknowledge the wins, no matter how small. Sounds kinda cheesey I guess but here’s where my awesome new tribe comes in. They understand the significance of the baby steps where others might not so much. They’ll join you in celebrating them, just as you will take joy in helping celebrate theirs. So there you have it, my Top 5 Tips. But here my patient (if you made it this far) friend, is the REAL kicker These tips are actually equally relevant no matter what your age! Kristy Hitchens is “Main Mouse” of Brown Mouse Communication specialising in email newsletters to help better communicate with your group, business or club. 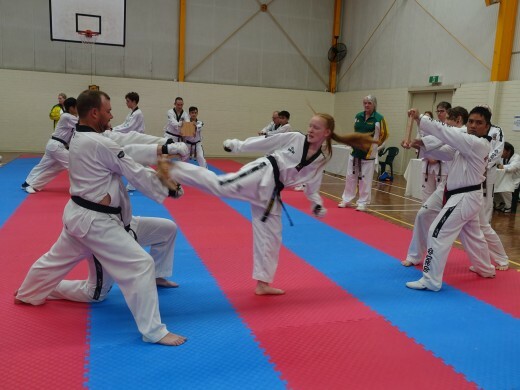 Taekwondo Central have been using her service for some time now and the difference in our communications with our members has been astounding. Click the above link to see how she can help you. ANXIETY. It seems to be a problem suffered by more and more people these days. The worrying part, a lot of these people are actually our kids. Why, whose to know exactly why. Lifestyle? Diet? Our Education system? Who knows, but it’s here and we need to develop ways to overcome it. Especially for our little ones. The earlier we can teach our kids how to handle the stresses and worries of life, the better off they will be. 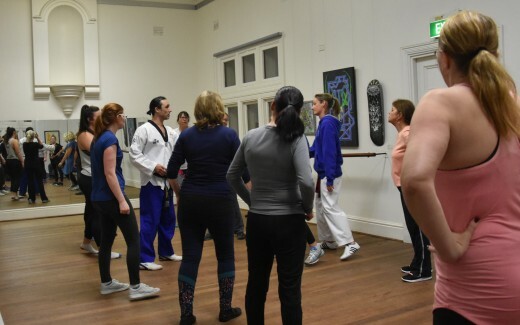 We’ve seen it time and time again, parents have read about the benefits of martial arts and they decide to bring their kids along to try a class. Many will love it from the word go and will continue with it for years. Some last a few terms, others only a few lessons. It’s just not their thing, but they tried it! But then there’s a small number of kids who just won’t give it a go, I suspect they want to, kids are naturally curious. But fear, shyness and anxiety are just too overwhelming and despite all efforts from Mum/Dad and Instructors it just ends in tears. 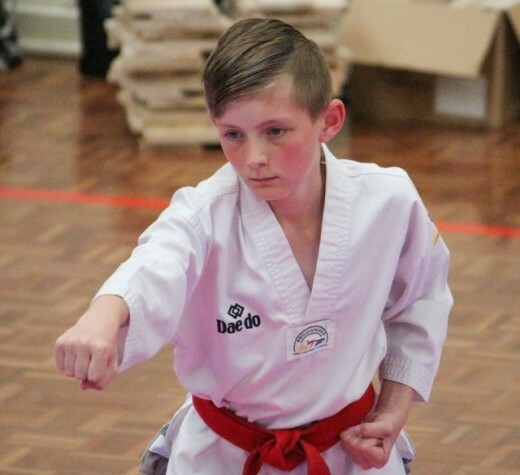 It is these kids that could actually really benefit the most from what Martial Arts and what Master Justin has to offer them. Hence the introduction of the “Double Dragons Program”. A programme specifically designed for these little guys who just need that bit of extra support and attention. In this class Mum or Dad are 100% involved. They’re not sitting on the sidelines. With a parent by their side, often this is all that’s needed to get them going, and what a great bonding opportunity! 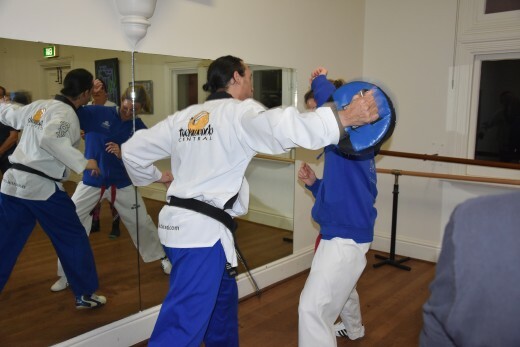 Class numbers are capped at a maximum of six, so not only do you get a more personal experience with Head Instructor Master Justin, the overall class feeling becomes a lot less intimidating for the kids. 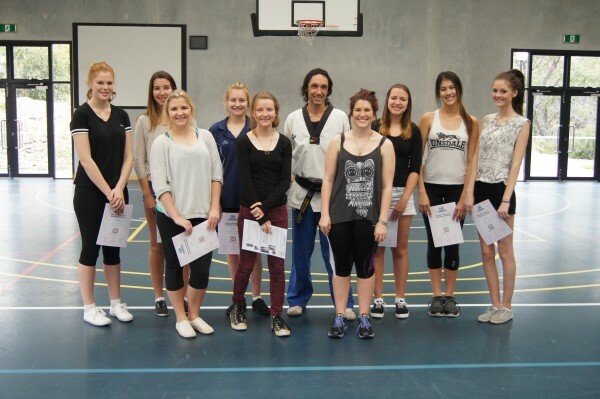 We’re really excited to see what this special class can achieve. Master Justin has a truly unique skill with little ones. His kind and gentle manner really gels with our all students, but his gift is without a doubt, best applied to the youngest members. We know there will be some really positive outcomes for the students in this class. 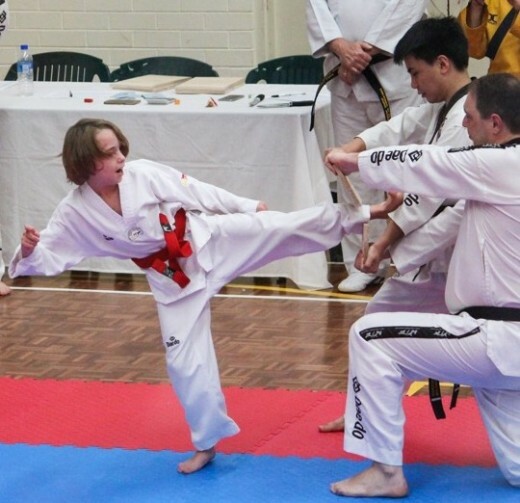 But don’t stop there, after experiencing some real successes with the Double Dragons, your child should have the courage and the confidence to take the next step, and by now you will have seen first hand the amazing energy and enthusiasm from Master Justin and the incredible benefits of training in Martial Arts. Have a think about some of the qualities and skills you want your children to have as they transition from childhood into young adults. We all want them to be successful and in good health, to live long and rewarding lives, yes? In Mind, Body and Spirit! What are some of the skills that successful people hold, how do they achieve success? – Mental determination: The drive and desire to push for more. – Perseverance: The ability to continue to walk forward in the face of defeat or disappointments that come along the way. – Confidence: A belief in themselves and their ability to achieve what they want. – Self Control: Understanding success involves some sacrifice. – Problem Solving & Adaptation: An Extremely important skill that is needed across all areas of life! – Patience, Integrity and humility. Traits that are invaluable to a successful and well rounded individual. But there are two aspects to overall health. One is your physical Health; the other is your mental health. Without each other in unison, things just don’t run well. A strong, healthy and fit body will undoubtable help carry them through a successful life. 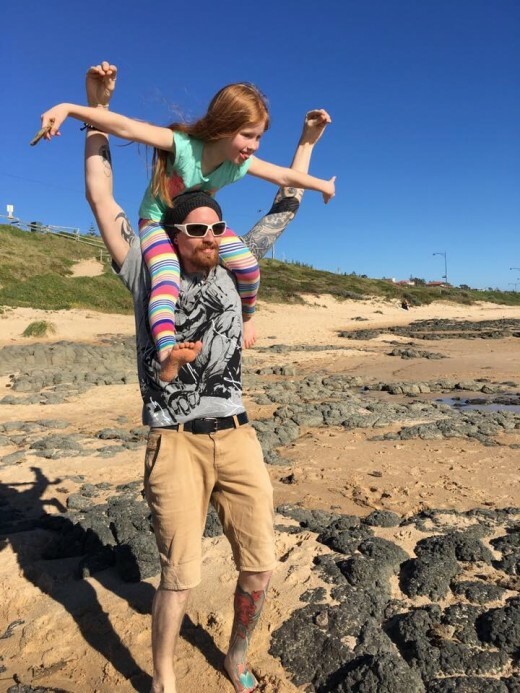 – Balance: Without it we are pretty much buggered. What’s the one of the first things we lose into our elderly years? Balance! 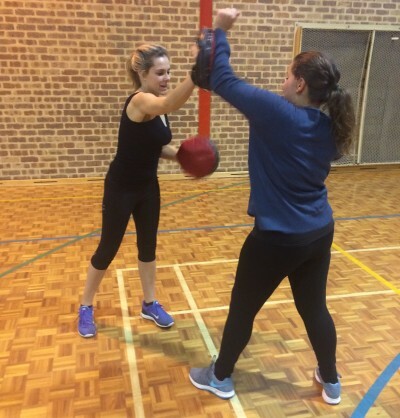 Utilise your muscles, exercise when you’re young and really strengthen your body and core. Your balance will remain with you for A LOT longer than the average person. – Flexibility: Can you touch your toes? No? Why not? Age is no excuse! But starting early will make the transition into the golden years much easier! – Muscle tone & Endurance: Good muscle tone promotes good posture, and having the strength to perform many daily activities are vital. Use it or lose it. There is no truer saying. Don’t move, and in years you will have trouble moving. Move more consistently through your life and in years to come you will still be moving! 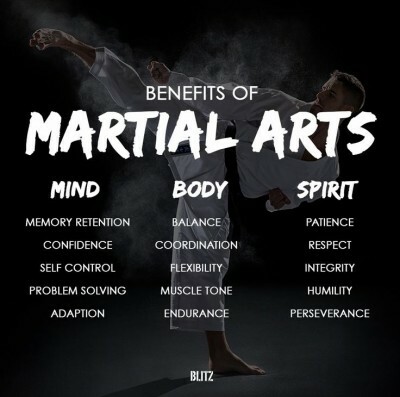 So now you’ve read it, the benefits of Martial Arts are incredible! Why WOULDN’T you want to give this amazing opportunity and start in life to your kids?